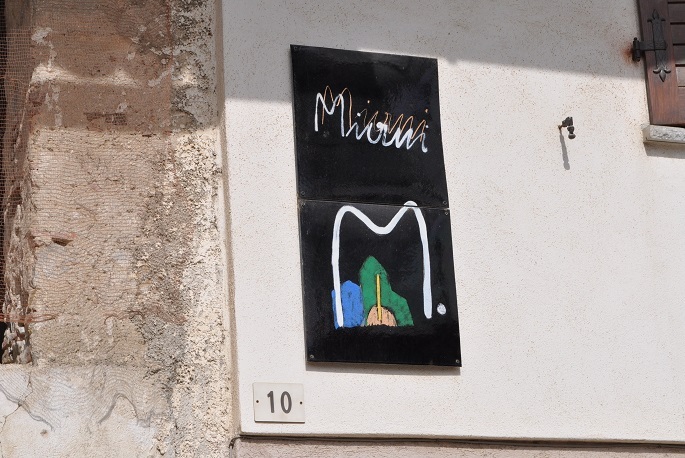 Miani is one of the crown jewels in the world of wine. Proprietor Enzo Pontoni excels with a range of both whites and reds that are typically monumental. That is the good news. The bad news is that Pontoni releases a mere 8,000 bottles from 18 hectares of vineyards, which means the wines are very hard to source. Yields are tiny and selection is Draconian, first in the vineyards and later in the cellar, where Pontoni is especially demanding when it comes what goes into the bottle. 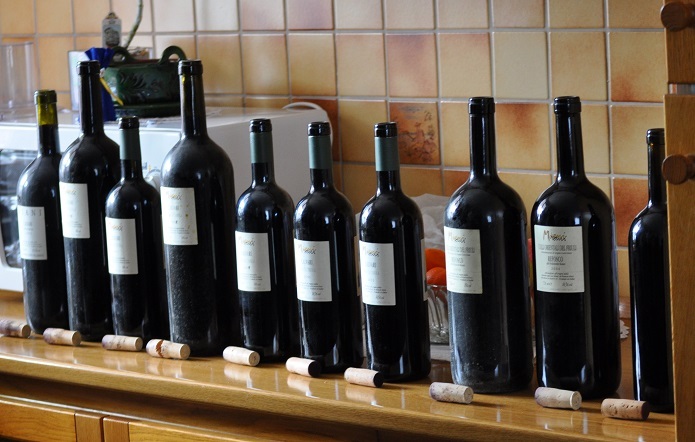 Last year I reported on a once in a lifetime vertical of Miani’s Merlot. This time around the focus was on the estate’s rarest wine, Calvari. Once again the results were stratospheric. I also had a chance to preview the 2009s, which have developed beautifully since I started following them in the vineyards last summer. Miani’s wines are always nearly impossible to find, but in 2009 they are worth the extra effort. Calvari is made from Refosco dal Peduncolo Rosso, an indigenous Friulian red grape that in Pontoni’s hands scales heights previously thought to be unimaginable. In his first vintages Pontoni made just one barrel of Calvari, although more recently production has doubled to a whopping two barrels. The estate’s Refosco vineyards are located in Buttrio, one of the most picturesque villages in Friuli once you get off the main drag and travel through the unpaved roads behind the center of town. Over the last few years I have become convinced that Buttrio holds some of the noblest terroirs in northern Italy for fine, world-class whites and reds. Sadly, the number of growers who are maximizing the potential of these superb sites is but a handful. Consider that the commune of Buttrio encompasses approximately 200 hectares of vineyards. That number grows to 250 when you include the vineyards of neighboring Premariacco and Manzano that share a boundary with Buttrio. Of these 250 hectares, roughly 100 are prime, hillside plots, yet few producers are making wines that are worthy of these vineyards. But that is a story for another day. Pontoni’s Refosco holdings are composed of two contiguous pre-World War II parcels on steep terraces with a total surface area of less than a hectare. These are some of the most beautiful, pristine vineyards I have ever seen. Refosco is a naturally vigorous, rustic grape that Pontoni has tamed (as much as possible) through meticulous work in the vineyard. Most growers, even those who pay strict attention to yields, could produce 4,000 bottles or so from these plots – Pontoni makes 600. In many ways, this tasting encompassed the entirety of Pontoni’s experience with Refosco, as he has pretty much wrought every ounce of potential from the grape. Not surprisingly, Pontoni is planting Merlot, a variety he considers far nobler, in all of his newer vineyards. History buffs may remember that Miani made a simple Refosco meant to be enjoyed young in the early years spanning 1990-1992. There was no Refosco in 1993 and 1994. The first vintage of Calvari was 1995 and the wine has been made every year since then except 2000 and 2005, both of which were compromised by hail. 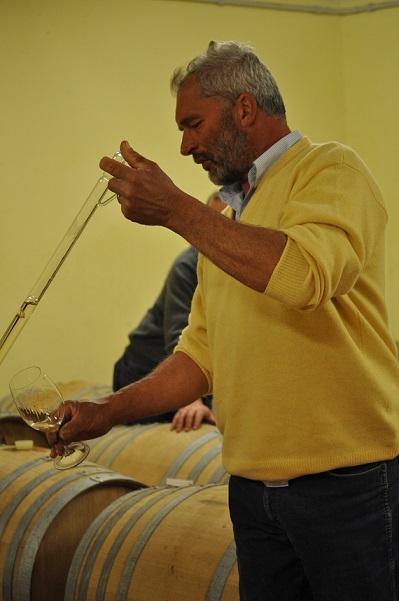 Over the years Pontoni has gradually moved to harvesting slightly earlier than he did in the 1990s in order to preserve more freshness in the wines. Calvari is always aged in 100% new French oak, all which it carries with grace. A number of vintages were tasted from magnum, a format that is not available commercially, although I am told that may change this year. The 1995 Calvari opens with a captivating bouquet of graphite, minerals and grilled herbs, followed by spices, smoke, licorice and dried flowers. Initially rather rich, the wine turns more delicate in the glass, revealing an understated personality. In 1995 the weather was on the cool side, which has given the wine lovely aromatics, considerable freshness and slightly firm tannins. The 1995 is an excellent choice for drinking today as it is unlikely to improve much from here. This is a wonderful debut vintage for one of Italy’s most iconic reds. 94. Drinking window: 2010-2020. The 1996 Calvari is quite a bit richer and deeper than the 1995, although it, too, is a product of a cold year. The fruit is incredibly opulent and massive. Jammy dark blueberries, minerals, spices and truffles are some of the nuances that emerge from a Calvari that beautifully reconciles elegant, complex aromatics, powerful structure and generous, impeccably ripe fruit. Some similarities with the Barolos and Barbaresco of that year seem apparent, especially on the finish. The 1996 can be enjoyed today, although another few years in bottle will only help the wine come together even more. This is a magnificent Calvari. 96. Drinking window: 2016-2026. Enzo Pontoni’s 1997 Calvari is one of the most legendary wines ever made in Italy. It received an enormous amount of critical acclaim upon release. At the time tasters were understandably blown away by what Pontoni had been able to achieve with the notoriously difficult and humble Refosco. Tasting the wine today it is easy to see why it garnered so much attention. The soft, opulent 1997 Calvari flows from the glass with gorgeous inner sweetness and a seamless personality endowed with refined tannins. There is not a hard edge in sight. Roasted coffee beans, mocha, flowers and dark fruit come to life in this massive, powerful wine. The 1997 was the first and only Calvari aged in 200% new oak; meaning new barrels for the first 12 months and then new barrels again for a subsequent 20 months. Though still quite fresh and full of life – especially considering the hot weather that year – the 1997 is one of the wines that developed the least in the glass over several hours. It seemed trapped by a level of oak that in retrospect was excessive. The wine’s harmony and sheer class, though, are beyond reproach. 95. Drinking window: 2010-2020. I loved the 1998 Calvari for its overall balance. To be sure, the 1998 is a smaller scaled vintage than either 1996 or 1997 but the wine’s poise and sense of harmony are utterly brilliant. Medium in body, the 1998 emerges with the essence of mocha, roasted coffee beans, grilled herbs, tar, licorice and plums. This takes some time in the glass to come together, but everything is in the right place. The 1998 remains an infant, but it can be enjoyed today with some advance aeration. 95. Drinking window: 2012-2023. The 1999 Calvari is the only wine in this tasting that is somewhat disappointing. The fruit is utterly explosive from the start, as juicy red berries, flowers and minerals coat the palate with massive concentration. 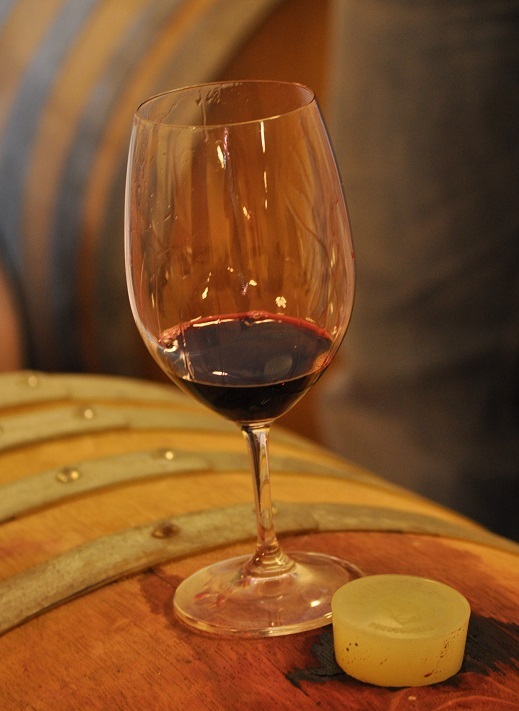 The aromatics turn high-toned in the glass, as the level of volatile acidity becomes increasingly apparent over time. Elements of austerity, particularly in the harsh tannin, detract from the overall balance. The 1999 is a bit of an enigma. According to Pontoni, the fruit was affected by the excessively hot weather. 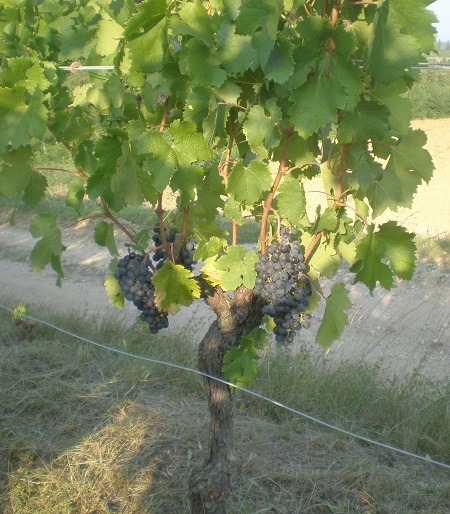 The 1999 remains something of a miracle however, as Pontoni harvested this plot just two days before rain essentially destroyed any fruit still on the vine. The fermentation was long that year, and the wine retains elements of austerity and hardness, along with aromatics that aren’t as focused as is typically the case. This is the only wine in the tasting that seems to get worse over time, as the small defects took on greater prominence with air. 92. Drinking window: 2011-2021. The 2001 Calvari is one of the most impressive wines of this vertical. This is a medium-bodied, refined Calvari that conquers all of the sense with its mind-blowing balance. A regal, aristocratic bouquet melds seamlessly into a core of vibrant red fruit, all supported by impossibly sweet, silky tannins. Suggestions of red berries, mocha and spices add the final layers of complexity. I am not sure the 2001 has the sheer structure or explosiveness to be one of the longest-lived Calvaris, but it is virtually flawless today and should continue to provide immense pleasure over at least the next decade. Pontoni says the 2001 was so hard and unyielding in its youth he doubted it would ever come together. Has it ever! 97. Drinking window: 2011-2021. I was literally blown away by the 2002 Calvari, from one of the most difficult harvests of the last decade pretty much everywhere in northern Italy, including Friuli. Then again, I shouldn’t have been too surprised given the superb showing of Miani’s 2002 Merlot when I last tasted it a year ago. The 2002 Calvari needs time in the glass to come together, but when it does it turns into a spectacular bottle of wine. Fresh, floral red berries, sweet herbs, spices and minerals are some of the nuances that emerge over time. This is a Calvari built on aromatics and structure. I expect that it will develop along the lines of the 1995, also from a cold vintage, which is to say that the intensity of the fruit will melt away over time and that this will be a relatively early drinking vintage, something that should be welcomed with great enthusiasm by readers holding some of the other vintages that will take considerably longer to come around. Still, I could not help note how the wine became virtually explosive on the finish after several hours. The 2002 was one of the wines that developed and transformed most positively over the several hours I followed it. 96. Drinking window: 2010-2022. The 2003 is another impressive Calvari. This is a big, opulent super-ripe Calvari that bears the signature of the torrid vintage, but the wine has none of the flaws that plague so many other wines of that year. The tannins remain impeccably refined, while there is just enough minerality to counter the opulence and sheer radiance of the rich fruit. The 2003 has no shortage of personality and dignity; even better, it should drink well earlier than some of the more important recent vintages. 95. Drinking window: 2013-2028. The 2004 Calvari is a bit of a mystifying wine. Smoke, cedar, tobacco, plums and red cherries emerge from this richly-textured, concentrated offering. There is incredible clarity and detail in the glass. Over time, some of the wilder elements of Refosco take center stage, with notes of bacon fat, grilled herbs and earthiness that become increasingly more prominent. Fresh red berries add a final burst of fruit on the eternal finish. The textural finesse and superb persistence I first loved about the 2004 are still there, but in the last few years the wine has become more rustic. In retrospect Pontoni says he would have performed one of the rackings a touch earlier. Today I am less optimistic about the 2004 than I was a few years ago. 94. Drinking window: 2014-2029. The 2006 Calvari explodes on the palate with an array of plums, morello cherries, graphite, flowers and minerals. This towering, massive Calvari remains extraordinarily primary; in fact it tastes just like biting into a perfectly ripe grape from this old-vine site! A deep, baritone register develops in the glass as this profound wine gradually reveals its pedigree. The 2006 is the first vintage to be made with a gentler approach to extraction in vinification and slightly less time in oak (24 versus 30 months). Pontoni felt he had already proved he could show the muscle Refosco was capable of, so he set his sights on the next challenge, which was showing the elegance that could be achieved with diligence in the vineyards and cellar. He has succeeded, and then some – the 2006 Calvari is quite simply a tour de force that readers will not want to miss! 98. Drinking window: 2018-2031. 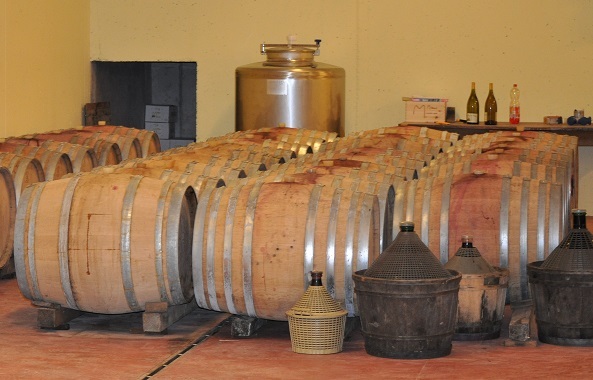 The 2008 Calvari, from barrel, comes across as powerful, tannic and a touch austere. The concentration and volume of top vintages seems missing. For now, the 2008 looks like a wine that will evolve along the lines of the 1995 and 2002. The 2008 growing season was full of challenges, most of which came during a very damp spring that forced Pontoni to treat the vines more than is normal in order to avoid disease. Pontoni is never one to treat the vines aggressively and at a certain point he made the decision that the long-term health of the vineyard was not worth risking in order to salvage the 2008 harvest. He lost 100% of his Merlot that year, but was able to pick enough Refosco for two barrels of Calvari. (90-93). The 2006 Tocai Buri, tasted from magnum, is once again spectacular, although it seems to have shut down a bit in bottle over the last year. With air, the reticent layers of mineral-infused fruit emerge in a powerful, intense expression of this old-vine site. Sadly, the magnum format is not available commercially, but I am told that might change soon. The 2006 Tocai Buri has always been a deeply moving, vivid white – from magnum or standard 750ml bottle – and is in my view required drinking for anyone who wants to understand the genius of Enzo Pontoni. 95. Drinking window: 2012-2021. I am even more struck by the 2002 Tocai given the difficulties of that year. The wine has acquired a deep, golden hue, sweet, honeyed tones and a rich, velvety texture. Sweet, deep and sumptuous, the wine impresses for its volume, richness and sheer density. Ripe apricots, peaches, honey and flowers linger on the creamy finish. In 2002 Pontoni did not bottle his single-vineyard Tocai selections Filip and Buri; instead he opted to make a single Tocai, an approach that paid off handsomely. The magnum format surely helped preserve a measure of freshness that makes this an immensely rewarding wine to drink today. 92. Drinking window: 2010-2015. A visit to Enzo Pontoni’s cellar is always a treat as his wines are so rare I never know when another occasion to taste them might arrive. The defining moment of the 2009 harvest was a heat wave in mid-August that lasted 10 days or so, at a time when temperatures, especially at night, tend to decrease. I visited a number of Miani’s vineyards during this period and at the time Pontoni was worried the heat spike would affect the quality of his wines, especially the whites. Fast forward to today, and the results are nothing short of spectacular. The wines show an extra dimension of richness and volume than is often the case, but there is more than enough freshness and minerality in the wines to provide balance. If that sounds appealing, believe me, it is. I haven’t been this excited about a vintage of whites here since 2006. The news is more mixed on the reds, as readers will see below. I tasted the 2009 Tocai Buri from two separate barrels; a ‘younger vines’ (which here means 40 years old!) shows great density and richness in its fruit, while a barrel from an older parcel of 70+ years reveals superb minerality, energy and length. Both are fabulous. (92-95). The 2009 Tocai Filip, from vines in nearby Rosazzo, is typical of this site in its forward, enveloping fruit and generous texture. It, too, is fantastic. (91-94). The 2009 Sauvignon Saurint screams of classic varietal notes; tomato leaf, sage and minerals explode from the bold bouquet, while the fruit is totally convincing in its richness and ripeness. This is impressive juice! (92-95). The 2009 Sauvignon Banel is super-ripe, juicy and intense. This isn’t really my style, but it is impossible to ignore the wine’s seductive fruit and compelling overall balance. (90-93). I loved the 2009 Chardonnay, which could easily be mistaken for a top-flight Burgundy. The balance of fruit, acidity and structure is nearly flawless as this superb white opens up in the glass. I am reminded of how difficult it is to spit here. This is simply marvelous. (91-94). In 2009 Pontoni will likely not bottle a Calvari, but he is much more enthusiastic about the Merlots, both of which are fabulous. His 2009 Merlot Filip is ripe, juicy and totally convincing in its soft, enveloping fruit. (92-95). The 2009 Merlot Buri, from old vines in Buttrio, is all minerals, graphite, plums, wild cherries and grilled herbs. The intense, towering Buri is simply one of the greatest wines of the world and the 2009 is shaping up to be spectacular. This is an incredible showing for the Buri. Wow. (95-98). Vintage 2007 was difficult here, and Pontoni decided against bottling his top reds. Instead, he used the best fruit for a soft, forward entry-level red. The 2007 Rosso Miani (from tank) is a beautiful, fragrant wine laced with perfumed red berries and spices. Though not a blockbuster by any means, it should offer highly pleasurable drinking over the coming years. Even better, it will be priced at about 50% of Miani’s high-end reds. (90-92).